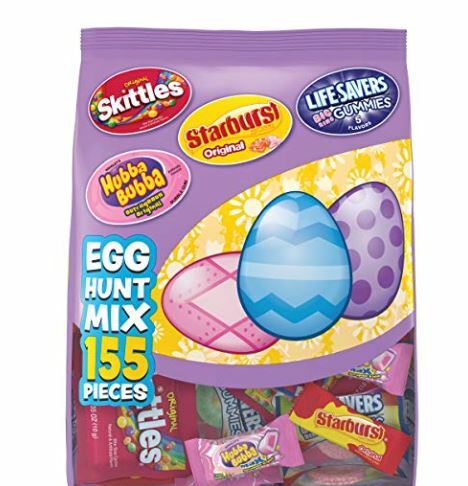 Get this MARS WRIGLEY Egg Hunt Mix including 155 pieces for $9.98. I like having these shipped because it’s not always easy for me to get to the store on my own..
Spring has sprung! It’s time to fill your Easter eggs and baskets, create colorful crafts, and celebrate the season with the ones you love. The gift of candy is sure to sprout smiles on the faces of your friends and family. Enjoy a variety bag containing Starburst Original Candy, Skittles Original Candy, Hubba Bubba Max Bubble Gum, and Life Savers Big Ring Gummies.